Consider your carefully curated collection of haircare products. We bet every bottle that earned a space on your shelves went through a thorough screening process before it ever touched your tresses. Now let’s talk about your hairbrush—the basic beauty tool that’s been a staple of your routine since your My Little Pony days. Hopefully, you’ve upgraded from the glittery pink version you wielded back then. But if the reason you own your current hairbrush is because it was the only one on sale at Boots (no judgment), we get it. Brushes don’t come with the same descriptive labels as shampoo bottles, so how can you be expected to know which one is best suited for your hair? Never fear, just consult our complete guide to finding the right brush for your hair type. 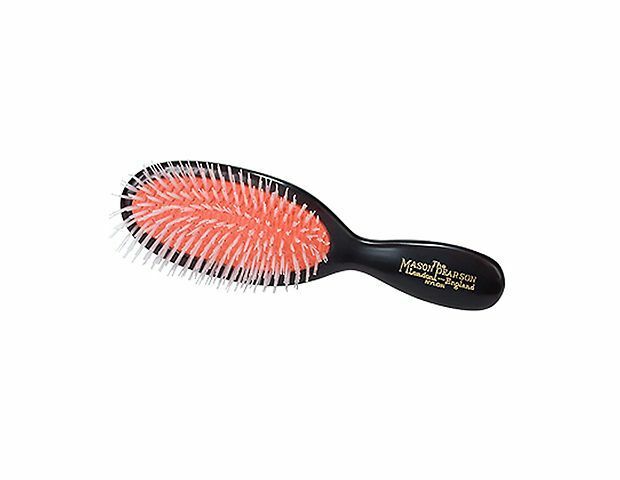 Click through our slideshow to find the hairbrush that’s right for you! Fine-to-normal hair may be easy to maintain and style with any old brush, but boar bristle brushes are really the gold standard for creating polished strands. They actually lift away dirt, dust and debris, while redistributing the scalp’s natural oils from root to tip. Consider this gentle, effective grooming tool the final ingredient in the recipe for a perfect hair day. Boar bristle brushes are great for those with delicate hair as well, but make sure you choose one with extra-soft bristles. 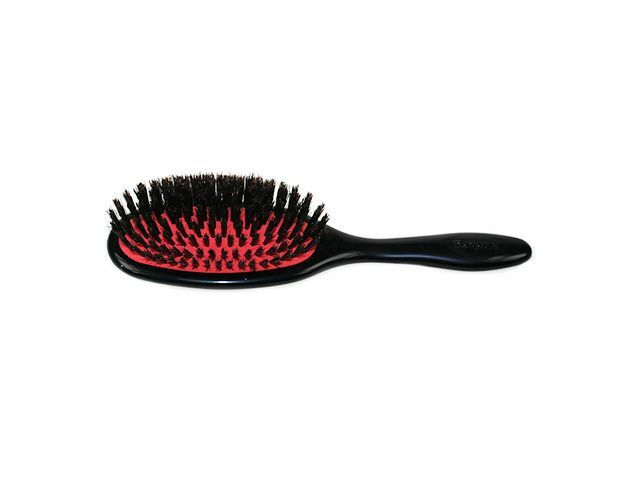 This type of brush will stimulate the scalp, increasing circulation to the hair follicle, which is ideal for hair that’s in need of a little TLC. All-natural bristle hairbrushes are gentle, but if your hair is thinning or especially fragile, look for a softer cut of bristle. Those flexible boar bristles can’t always tame a truly thick mane. 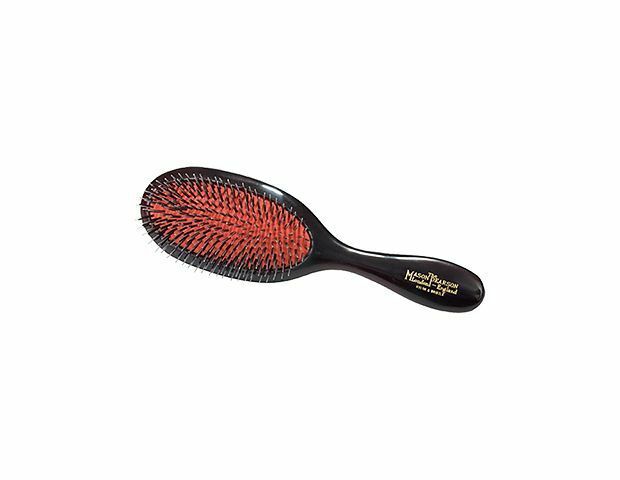 In order to penetrate hair that’s particularly thick or difficult to work with, you’ll want to use a nylon brush. Nylon bristles function similarly to their all-natural sisters, but they’re stiffer and offer more control. Normal-to-thick hair can benefit from a mixture of nylon and boar bristles. Mixed bristle brushes are really the best of both worlds. 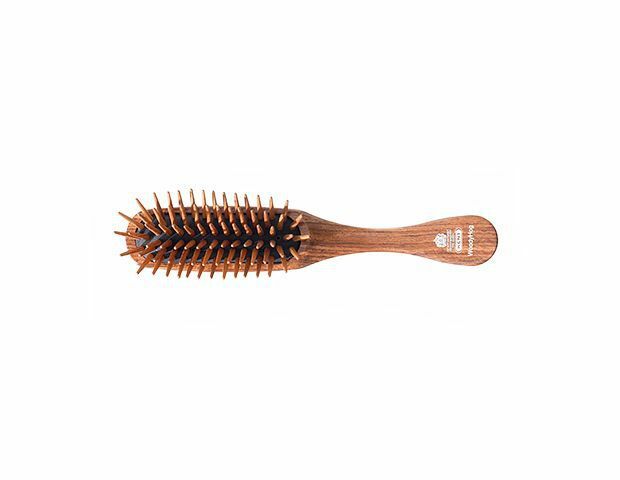 The nylon quills that extend from a tuft of natural bristles detangle tresses, while the boar bristles distribute your hair’s natural oils and smooth the cuticle—perfect for creating and maintaining healthy hair. It’s time to abandon the notion that curly hair can’t be brushed. Curls do present their own unique challenges, but with the right tools, you can tackle them all. To keep coils in tip-top shape, look for a hairbrush with widely spaced wooden pins. Wood brushes are gentle on dry, brittle hair, won’t separate the curls and never generate the all-too-familiar curly hair foe, static. To smooth short hair and tame unruly bangs, choose a small round brush with boar bristles. Boar bristles are great for creating tension. 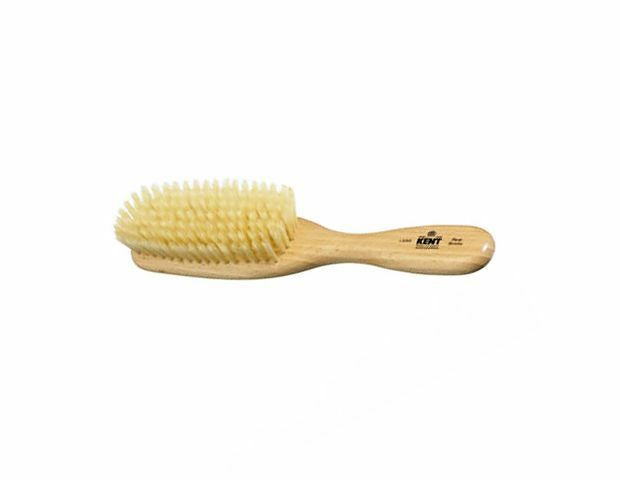 They catch every hair, making a boar bristle brush a dream for styling short strands. Whether the end goal is smooth and sleek or you want a boost of volume, this little wonder will get you there. Next up! 17 hairstyles that can withstand bad weather.